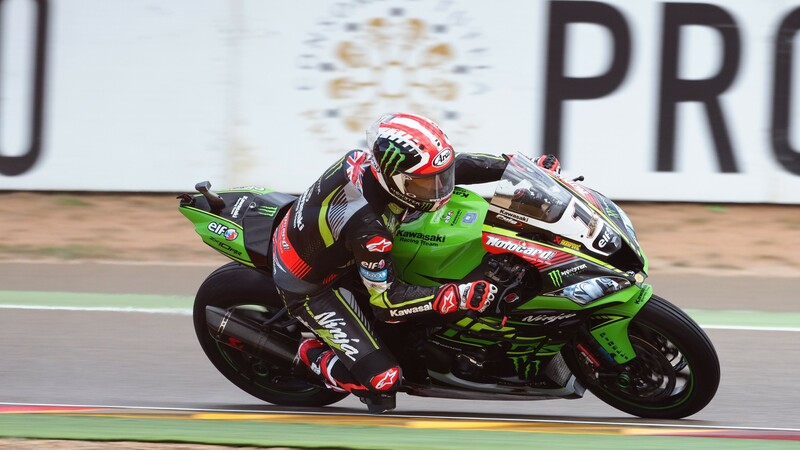 Jonathan Rea (Kawasaki Racing Team WorldSBK) made a strong start to his MotorLand Aragon weekend with a fastest lap over half a second ahead of second, as the MOTUL FIM Superbike World Championship got underway in changing weather conditions at MotorLand Aragon. 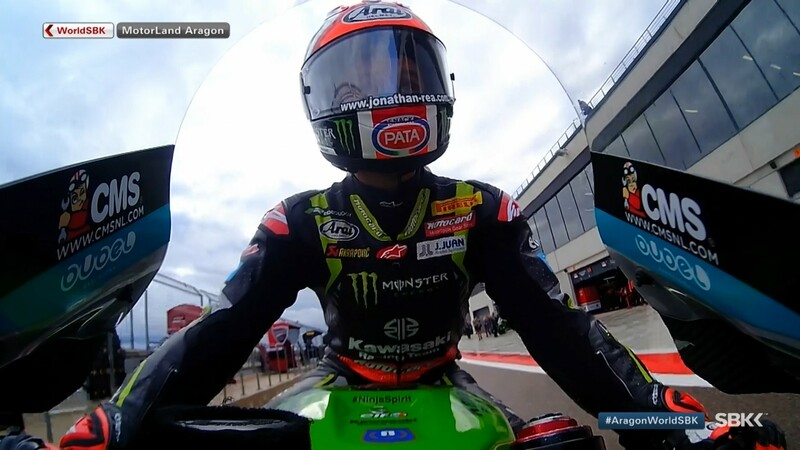 With riders getting accustomed to the Spanish track, with dry lines developing around the wet patches scattered across the circuit, Rea set an early fastest time for the first half of the session. 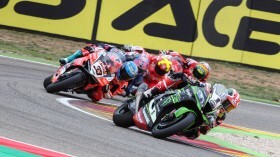 Teammate Tom Sykes (Kawasaki Racing Team WorldSBK) showed his speed at the halfway point of the early session taking the lead over Rea, but ultimately just managed a sixth fastest time. 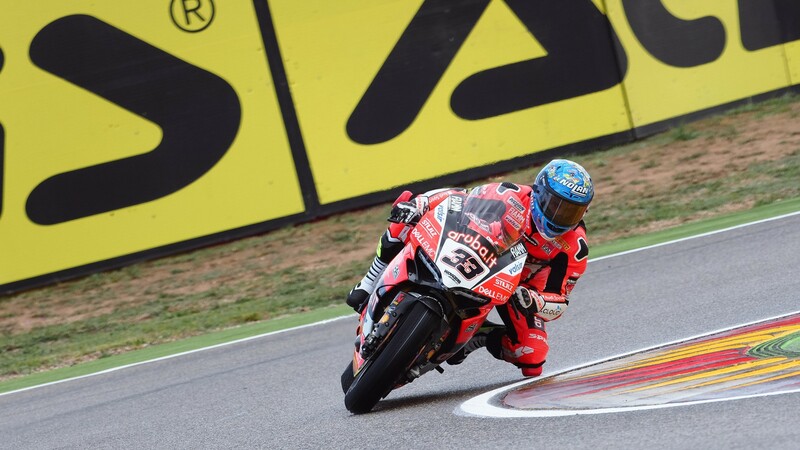 Marco Melandri (Aruba.it Racing -Ducati) seemed to get over a troubled Thai Round with the second fastest time of the session, while Leon Camier (Red Bull Honda World Superbike Team) showed his pace with a merited third fastest time, after leading part of the session. 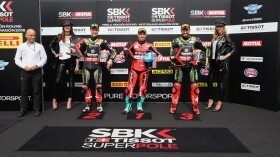 Debutant Michael Ruben Rinaldi (Aruba.it Racing – Junior Team) made a promising start to his WorldSBK run with fourth in the session, with Michael van der Mark (Pata Yamaha Official WorldSBK Team) taking fifth. Local hero Xavi Fores (Barni Racing Team) took eighth, with Loris Baz (GULF Althea BMW Racing Team) just ahead, after leading the very early point of the session. 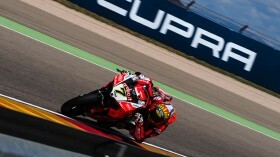 Thai Race Two winner Chaz Davies (Aruba.it Racing – Ducati) could only record an 11th fastest lap in the damp. 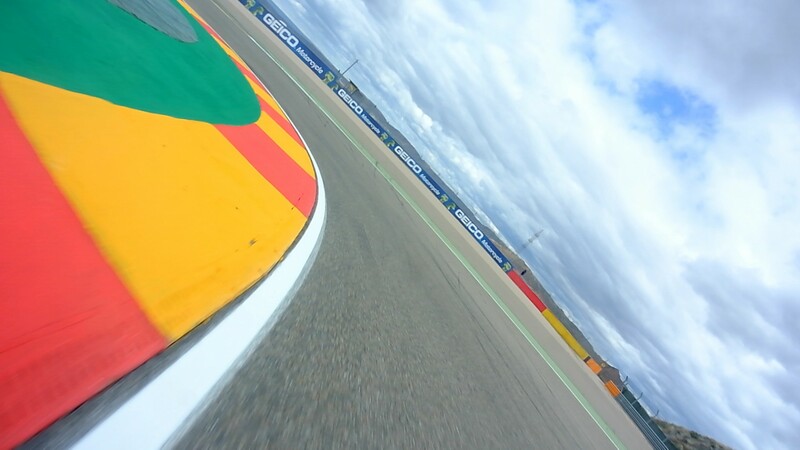 With weather conditions ever-changing at the Alcañiz circuit, the two sessions ahead are sure to produce non-stop changes at the top of the leaderboard. 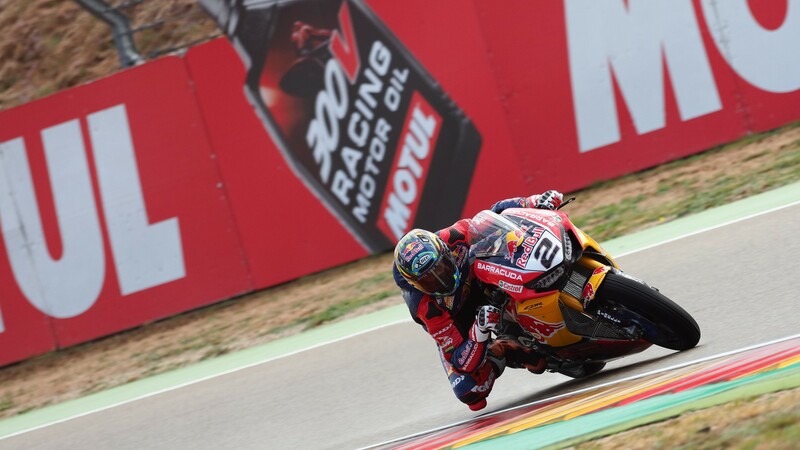 Stay on track with the rest of Friday’s sessions with Live Timing on WorldSBK.com, and follow all the rest of the #AragonWorldSBK action with the WorldSBK VideoPass.